DISTANCE MOVER #7: “If you missed issues #1-6, #7 is the best place to start,” says creator Patrick Kyle, “In this new story arc Mr. Earth and Mendel set off to explore new civilizations, but are quickly thrust into a new adventure when the Distance Mover plans its own course.” For those of you who miss out on the fantastic subscription deal, don’t worry – Copies are available at The Beguiling for $5. HOT DOG BEACH #2: “Mop and Fuzz are on the job, half drunk and hungover, everyone’s trying to get to Hot Dog Beach but nobody knows what’ll happen when they get there, they just wish they’d get paid soon, or at least get something to eat…” Holy cow! This book is rad! The second issue of Lale Westvind’s Ignatz Award Winning series can be yours for only $6. CHROMAZOID #1 & 2: Speaking of Lale Westvind, her Kickstarted anthology Chromazoid #1, as well as the follow-up issue, are choc-a-bloc full of comics from exciting artists like Lyra Hill, Robert Calzone, Austin English , Sakura Maku , Otto Splotch , Jazmyne Araya, and many more. Both issues come with a mixtape and mix-CD (respectively) full of original songs connected to the comics! Chromazoid #1 is $20! 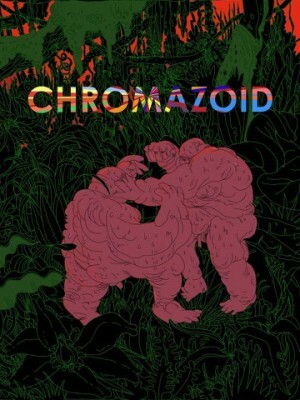 Chromazoid #2 is $20! Previous PostShipping January 16th, 2013Next PostEvent: Lemony Snicket & Seth at Toronto Public Library!